Infinite, K-Pop group megastar, consisting of seven members Sung Kyu, Dong Woo, Woo Hyun, Hoya, Sung Yeol, L, and Sung Jong, kicked off their successful career with a reality TV show ‘Infinite! You are my Oppa’. In June 2010, they released their first single ‘Come Back Again’ from their debut album . In 2012, Infinite became popular with ‘scorpion dance’ featured in ‘B.T.D’ and propelled to super-stardom with ‘Be Mine’ from album , winning several music awards. They went on to make No. 1 hits, including ‘Paradise’, ‘The Chaser’, ‘Man In Love’ and more ever since. 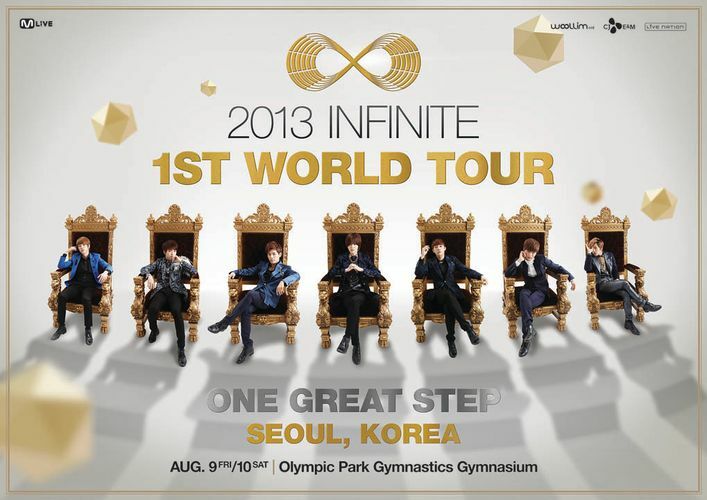 Fans from around the world are drawn to Infinite’s pitch-perfect live performances and their music, which distinguishes them from other K-POP music. In 2012, Billboard.com named their single ‘The Chaser’ as K-POP Song of the Year and confirmed Infinite’s fast growing popularity in Asia, evident from their worldwide-music-charts-conquering hits and soaring number of global fans following them on Facebook (255K) and Google+ (606K). With their powerful live performance and eye-catching showmanship, Infinite’s previous concerts achieved tremendous success in Korea and Japan.